Not a fan of traditional oatmeal? Try this delicious spin on wholesome oats! 3. 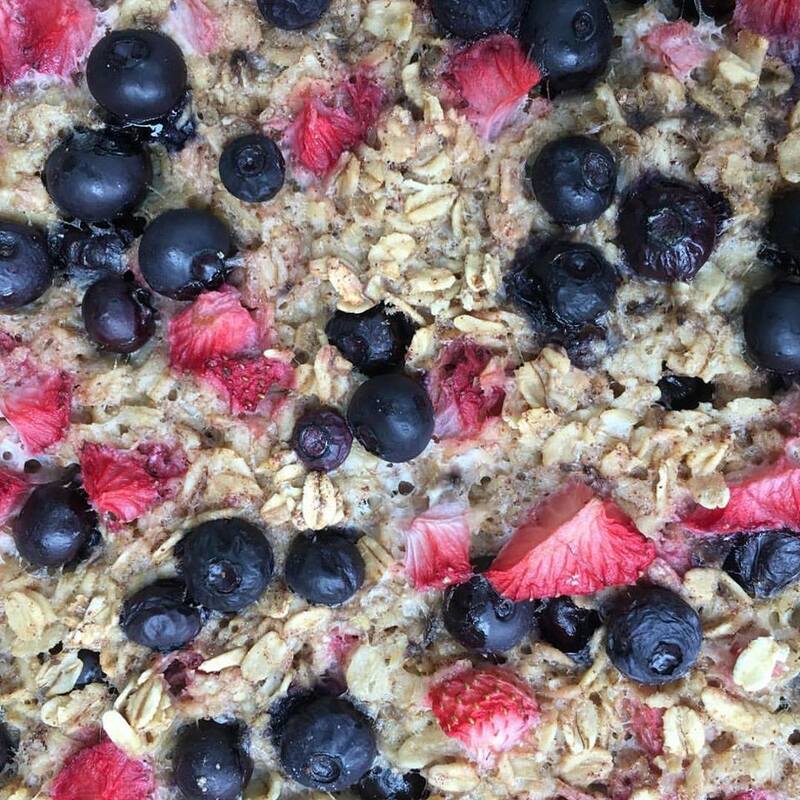 Mix oats, maple syrup, baking powder, cinnamon, salt, 1/2 c strawberries, and 1/2 c blueberries in a large bowl. 5. Combine milk, egg, coconut oil, mashed banana, and vanilla extract in a separate bowl. Whisk thoroughly. 1. Spray an 8×11 inch deep baking dish with cooking spray. 2. Pour oats mixture evenly into the baking dish. 3. Add the other half of the berries to the top. 4. Pour banana mixture on top of oatmeal mixture. Ensure the oats are soaked evenly. Sprinkle milk over any areas which need additional moisture. 5. Bake oatmeal mix in the oven for 40 minutes, or until golden brown. 6. Allow oatmeal bars to cool before cutting.